It is National Strawberry month and I have been celebrating all month! I went to the the farmers market and stocked up on lots of fruits and veggies. The strawberries always call out to me. So, since my skin has been kind oily lately (Florida is so humid) I decided to make one of my natural face masks this morning as I am going to be on TV in sunny Florida. Did you know strawberries are little miracle workers? Both internally and topically. They are filled with vitamin C,vitamin K,potassium and folic acid. They also contain an acid which keeps our faces protected from ultraviolet rays. Giving your face and neck a fruity facial is great because it also contains essential salicylic acid. Strawberries help to exfoliate your skin and brighten it up too. Did you know some celebrities have been known to use the inside of a strawberry to help brighten the teeth simply by rubbing it on and leaving it o for a few minutes! I tried it and it works that is a quick brighter teeth natural fix. I also love to use frozen strawberries with coconut or almond milk and add a dash of NeoCell’s collagen powder. YUM to prettier looking healthy skin. NOT all of your supplements need to be in pill form you can pop them in smoothies and bowls. Another fave and pretty to look at salad and enjoy is when I make it with strawberries,spinach,pecans and edible flowers! So add strawberries to your life in more ways and enjoy the fruits and veggies Mother Nature gives us. Beauty From the Garden & More! Flowers and herbs….Can make you feel better and healthier! I am trying to enjoy them even more before the winter chill and frost arrive in Florida. 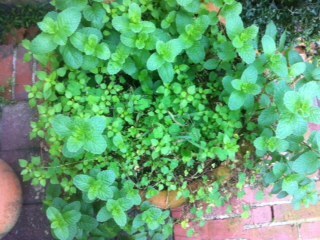 I love fresh mint,rosemary and other herbs growing outside my door. Eat parsley to freshen up your breath! Make a cup of cozy hot tea with fresh peppermint or mint! Bathe in bubbles and the scent of some fresh rose petals to stress less. Place eucalyptus branches in your shower and steam your way to breathing better from allergies. Add edible flowers to a salad. and make your day more beautiful and even better. Massage your shoulders gently with grape seed oil and a smooth and soothing river rock from your garden supply. Can’t get to sleep…use Chamomile to help you get those ZZZ’S. Enjoy the beauty of these simple things I promise they can make your heart sing. Say hello to a happier new you! 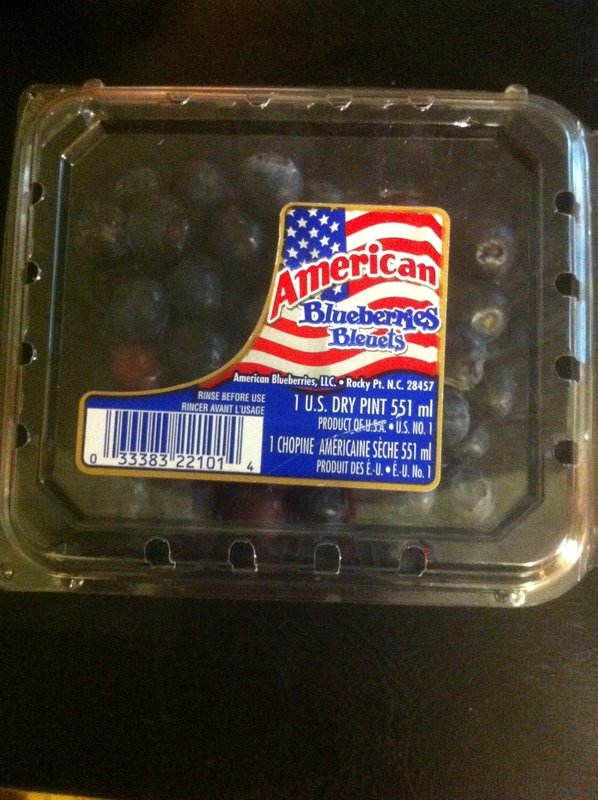 I LOVE AMERICA and the beauty of Blueberries! Since I was a little girl, I have been making beauty potions. Now that I’m older and as a beauty professional, I love to do them even more. Hot and steamy weather calls for this! This is one of my summer favorite beauty recipes for amazing skin treatments not found in a jar but down the aisles of Whole Foods Market or a market wherever you may shop and live! Your skin will LOVE the benefits from these recipes. You can make this recipe for yourself,with your daughter, your mom or even your sweetie. My husband loves these spa at home recipes too! Rinse the berries and place in a blender. Add the honey and yogurt. Blend until creamy. Using your clean fingers or a stiff fan mask brush apply the mask to your face and neck. Please note: If you are allergic to the above obviously do not try the recipe. In addition, these are made from scratch so the shelf life is a few days in a tightly closed glass jar in the refrigerator. I suggest using them to the last drop and enjoy it all at once or in a couple of days. I also like to use blueberries in a salad,over yogurt or freeze as ice cubes in lemonade. Blueberries are like healthy candy for my body instead of a real candy bar. Honey is a natural moisturizer that locks in moisture. Your skin loves yogurt and all of the above are found in fabulous face and body creams sold on store shelves. If you love to be healthy, eco-friendly, green and gorgeous…come back to my blog soon. Happy 4th of July if you live in America!!! If you don’t have a fab weekend and enjoy this recipe too. Some celebrities use strawberries on their teeth to make them whiter. Allure my fave beauty magazine recommends you try a bag of frozen peas on your eyes for puffiness. Women in Italy love olive oil for hair and skin. I had to take it a bit further …when I forgot my tinted lipstain yesterday. I had accidentally left my lipstick at my office on my desk in my cosmetic case.I own a cosmetic candy shoppe and I was lipstickless. I HATE not to have any color on my lips. I mean it drives me crazy! Worse yet people stop me some days as they recognize me from my beauty & lifestyle segment on TV. 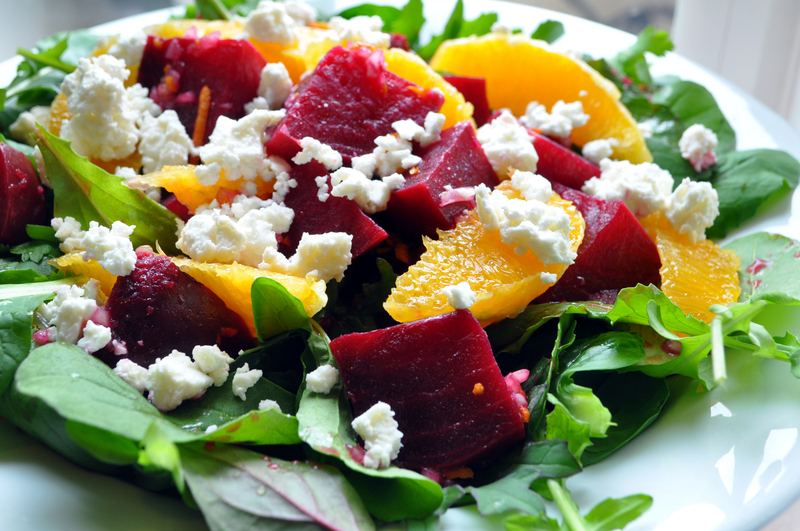 So,I took the beet from my salad and slipped it into a napkin and went into the powder room. I placed the fresh aubergine beet on my lips as if I were applying a lipstick.Then I applied a dash of the new mini pop in your purse Vaseline over the beet stain on my lips. My lips were kissed with a soft ruby tint and I looked marvelous! It’s fun to experiment…share with me what recipes you have come up with. I hope you are enjoying a peek inside my next beauty book.It is such a pleasure to share them with you! Nature’s Celebrities ROCK…NOT just celebrities! For pretty amazing skin eat your veggie’s and fruits especially a rainbow of shades. Green,orange, yellow,white,red,yellow,eggplant. All these shades of foods make your skin look amazing and FEEL amazing. EAT them,juice them,make a smoothie out of them,stir them in salads or stir fry dishes. ENJOY! Feed your skin from the inside out with God and Mother Nature’s green earth goodness.